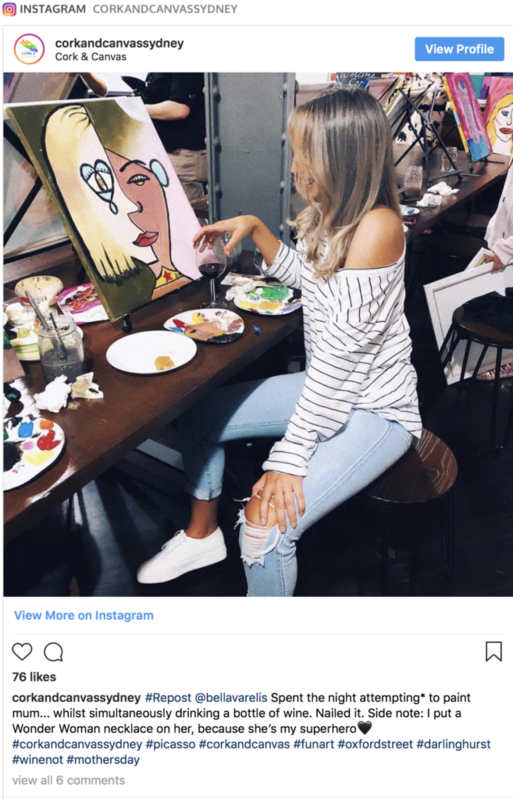 A BYO Painting And Sip Studio Has Opened In Sydney. 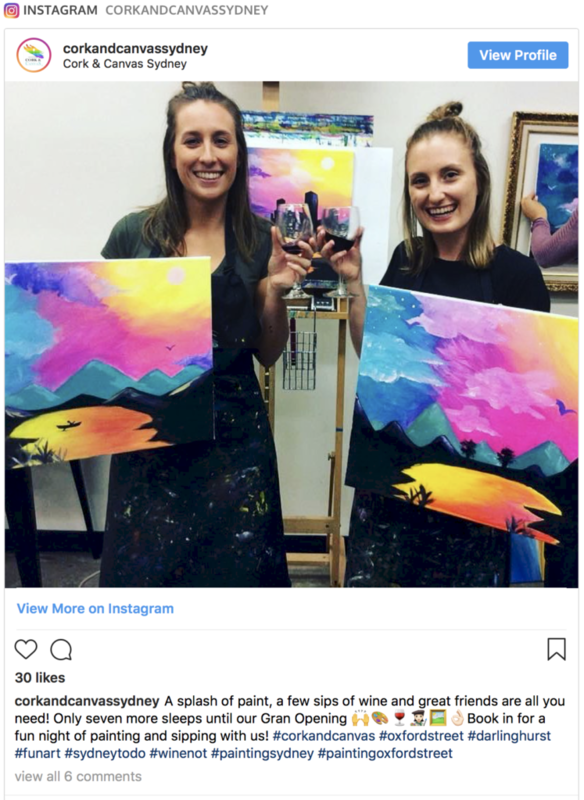 Wine and art…OK! Tbh, it doesn’t get much better than this! A brand new Sydney BYO art studio has just opened in Sydney. Say hello to Cork & Canvas. They are located on the corner of Oxford Street and Palmer Street.. which is conveniently opposite a bottle shop… now we are talking! 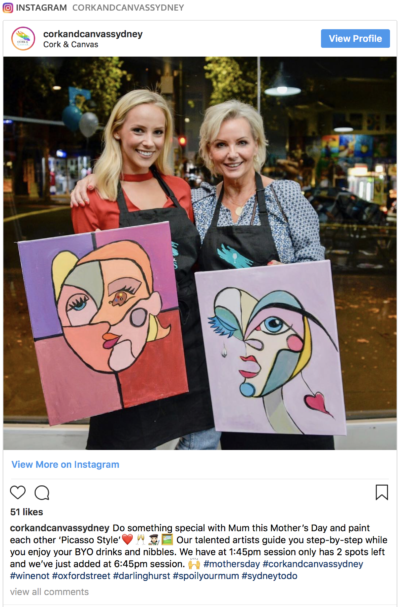 They invite Sydney-siders to enjoy a fun and entertaining art experience, painting and socialising with friends whilst sipping on a glass or two of their favourite wine or bubbles. Cork & Canvas, it’s all about fun art, not fine art. Customers BYO wine and nibbles and enjoy a creative night painting in a relaxing environment with new friends and old. There’s no artistic experience required and guests are encouraged to unleash their inner artist to create a stunning masterpiece of their own. Art essentials, glassware and good vibes all come provided while patrons let their creativity run wild and enjoy a social drink. By the end of the session participants can leave with their own completed artwork. Public sessions run for 2 or 3 hours and range from $50 – $60 per person, during which a talented resident artist provides professional step-by-step guidance on how to paint the featured artwork of the night with acrylics on a canvas. Cork & Canvas also caters to corporate and team building events, hen’s parties, birthday parties, private functions and can be booked privately for offsite events. They are open 7 days a week, Cork & Canvas is the ideal setting for a creative night out. Sessions start at 7pm from Monday to Saturday and 2pm on Sunday afternoons.